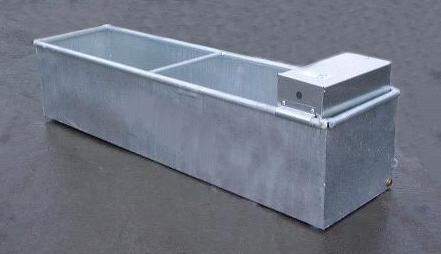 Galvanised Drinking Trough. 6ft. Cattle Trough, 457mmt wide, 405mm deep. Heavy duty construction for a long service life, rolled top and bracing to ensure stability and safety. Available from 3ft to 10ft long. Service box, ball valve & couplings sold separately. Delivery charges for this product will depend on your location, quantity ordered and may be free. Please email for details.